Penn Dental Medicine is an affordable, reliable source of prosthodontics. Having a healthy, attractive smile is universally valued. It can be especially important to those who have high visibility jobs or lifestyles. Unfortunately, these jobs or lifestyles are particularly prone to the types of stress factors that tend to cause tooth damage. 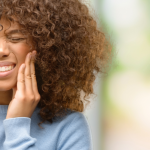 According to the American Association of Oral and Maxillofacial Surgeons, 69% of adults ages 35 to 44 have lost at least one permanent tooth to an accident, gum disease, a failed root canal or tooth decay. If you are in need dental implants, you are not alone. 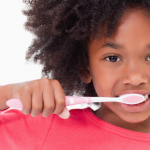 When teeth become damaged or decayed, finding a qualified dentist for implants is critical. Generalist dental practitioners typically lack the specialized training, skills, resources, and technology to provide the type of advanced, effective prosthodontic care that implant patients require. Dental implant care is central to the specialized field of dentistry known as prosthodontics. 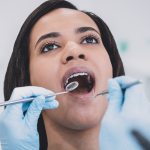 This branch of dentistry is focused on prosthetic dental fixtures, including the design, construction, and the fitting of replacements for the teeth, jaw, and other components of the oral anatomy. Dental implants are prosthetic fixtures made of titanium and surgically joined to the jawbone to artificially recreate the roots of missing or damaged teeth. Artificial teeth can then be fused to these implanted prosthetic roots, either as single crowns, bridges, or full dentures. Dental implants provide a long-term solution for damaged or missing teeth. Not only do they recreate the appearance of natural teeth; they also successfully recreate the feel and function. Specialized prosthodontics have countless benefits for patients affected by tooth damage, and Penn Dental Medicine stands out among regional options for prosthodontic care for its unique accessibility and elite-grade quality care. Listed below are some of the distinct benefits of choosing Penn Dental Medicine’s dentists for your implants. Penn Dental Medicine’s graduate prosthodontics program is the only one of its kind in the Philadelphia area. Penn Dental Medicine’s prosthodontics program is ADA accredited. Penn Dental Medicine is an educational clinic, meaning that implant patients receive supervised care from tomorrow’s most promising dentists. Prosthodontic procedures are notoriously expensive. 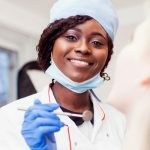 Pursuing implant treatment in Penn Dental Medicine’s educational clinic can significantly reduce costs. Dental implants can radically restore your oral health, appearance, and function. 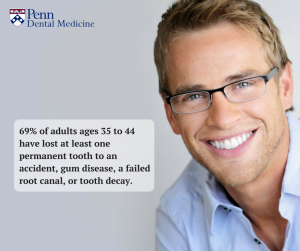 To learn more about the dentists for implants at Penn Dental Medicine or to schedule an appointment, contact us today.